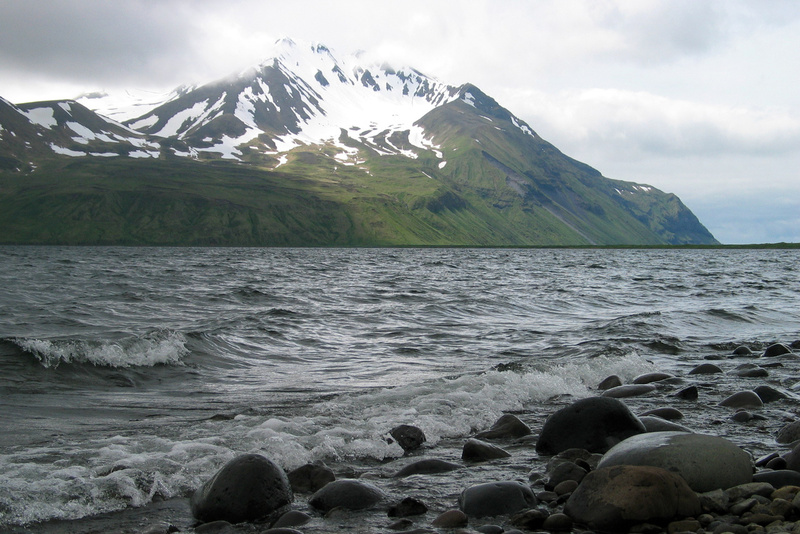 Bering Sea coast in the Aleutian Islands. Credit: iStock. New approach will deliver more timely, actionable data on changing ocean conditions. The Bering Sea is home to some of the nation's largest and most profitable commercial fisheries, including Alaskan pollock and Pacific cod. It's also one of the fastest warming parts of the world, with fish stocks becoming increasingly vulnerable to marine heat waves, the loss of sea ice, low-oxygen waters, harmful algal blooms, and other conditions that stress species, ecosystems, and economies. Environmental changes in this area are happening so rapidly that researchers are continuously seeking ways to deliver more timely and actionable information on changing ocean conditions to help resource managers, commercial and recreational fishermen, Alaska Native communities, and coastal communities prepare and respond. For this reason, NOAA scientists selected the Bering Sea as a testbed for what they hope will be a new system that provides decision-makers with robust projections of ocean and fisheries conditions over short-term (daily or annual), medium-range (1–20 years), and long-run (10–50 years) scenarios, and then evaluates how different fishery management strategies might perform under those future conditions.